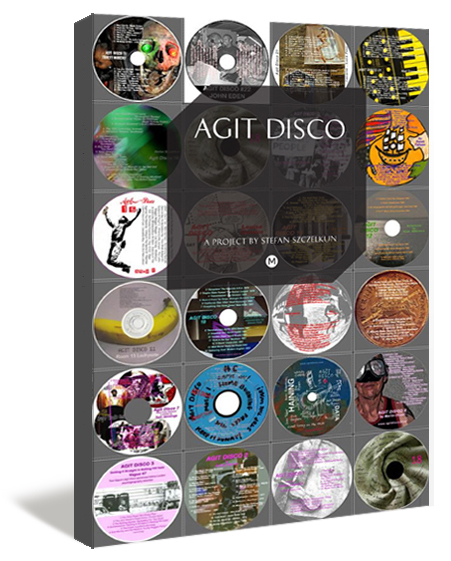 Agit Disco has just been published by Mute Books, compiled by Stefan Szczelkun, edited by Anthony Iles The launch takes place on 8th December 2011, 6.30pm – 9.00pm at The Showroom, 63 Penfold Street, London, NW8 8PQ. I have a chapter in the book so will be going along, maybe see some of you there (details here, including how to order a copy). 'Agit Disco collects the playlists of its 23 writers to tell the story of how music has politically influenced and inspired them. The book provides a multi-genre survey of political musics, from a wide range of viewpoints, that goes beyond protest songs into the darker hinterlands of musical meaning. Each playlist is annotated and illustrated. The collection grew organically with an exchange of homemade CDs and images. These images, with their DIY graphics, are used to give the playlists a visual materiality. Almost everyone makes selections of music to play to themselves and friends. Agit Disco intends to show the importance of this creative activity and its place in our formation as political beings. This activity is at odds with to the usual process of selection by the mainstream media - in which the most potent musical agents of change are, whenever possible, erased from the public airwaves. Agit Disco Selectors: Sian Addicott, Louise Carolin, Peter Conlin, Mel Croucher, Martin Dixon, John Eden, Sarah Falloon, Simon Ford, Peter Haining, Stewart Home, Tom Jennings, DJ Krautpleaser, Roger McKinley, Micheline Mason, Tracey Moberly, Luca Paci, Room 13 – Lochyside Scotland, Howard Slater, Johnny Spencer, Stefan Szczelkun, Andy T, Neil Transpontine, Tom Vague'.